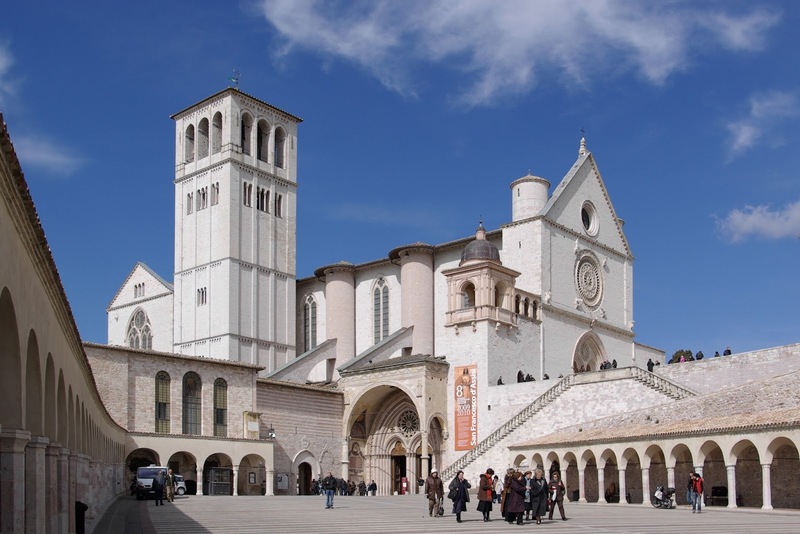 The city of Assisi in Umbria is today celebrating the Feast Day - la festa - of their famous Saint, Francis - Francesco - who is one of the most venerated religious figures in history. It is the most important festival in the Franciscan calendar as it commemorates Saint Francis’s transition from this life to the afterlife. 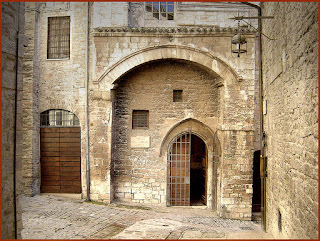 For two days Assisi is illuminated by lamps burning consecrated oil. 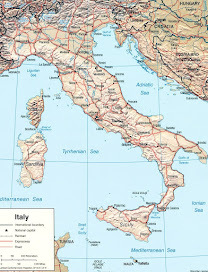 Special services are held in the Basilica Papale di San Francesco and the Basilica di Santa Maria degli Angeli. The feast day is also celebrated in other churches all over the world and children are encouraged to bring their pets to be blessed in memory of Saint Francis’s love for animals. Saint Francis was born Giovanni di Pietro di Bernardone in about 1181 in Assisi but he was informally known as Francesco by his family. 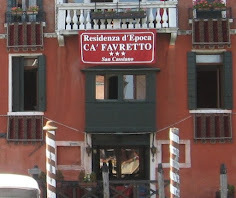 A theory is that his father, Pietro di Bernardone, a prosperous silk merchant, decided to call his new son Francesco - the Frenchman - because he had been on business in France at the time of the birth. His wife, Pica de Bourlemont, was a noblewoman from Provence, although it was she who chose the name Giovanni. 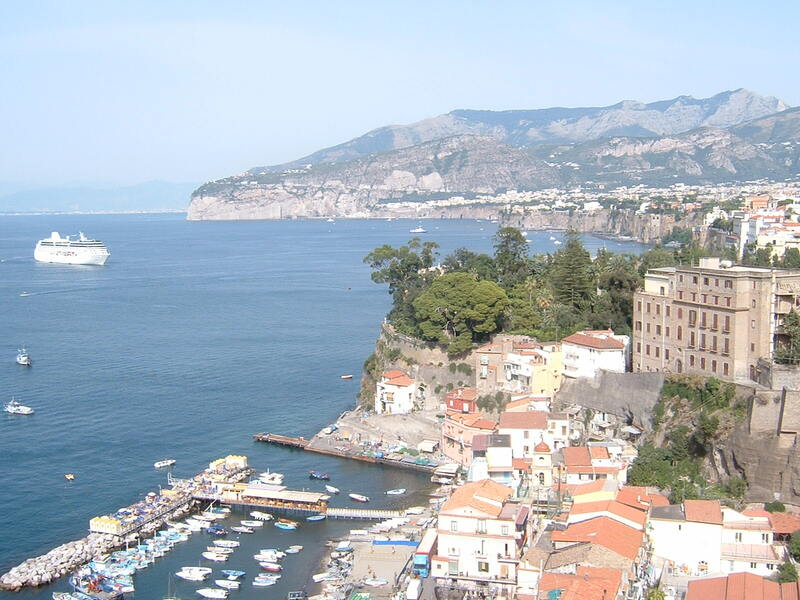 Francesco lived the typical life of a wealthy young man, first as a rebellious teenager with a love for partying, later as adventurer, dreaming of becoming a knight and going to war. The opportunity to do so came in 1202, when a war broke out between Assisi and Perugia. Francesco signed up for the cavalry but after witnessing the horrors of the battlefield was captured and imprisoned, held captive for almost a year until his father agreed to pay a ransom. 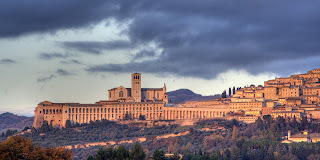 It was during this time that he appeared to undergo a spiritual conversion, returning to Assisi as a different man. He became a friar, founding the men’s Order of Friars Minor and the women’s Order of Saint Clare. 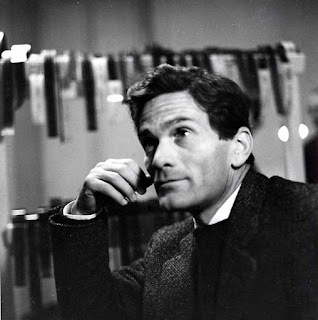 He had once joined the poor people begging at St Peter’s in Rome, an experience that made him vow to live in poverty. He also dedicated himself to restoring ruined churches in the countryside around Assisi, among them the Porziuncola, the small church where the Franciscan movement was started. After hearing Francesco preach, Clare, a young noblewoman from Assisi, was deeply moved and wanted to join his order. Francesco received her at the Porziuncola and established the Order of Poor Ladies, later called Poor Clares. In 1224, while fasting in preparation for Michaelmas on a mountain known as La Verna in Tuscany, he is said to have received the stigmata after seeing an apparition of angels. He is the first person on record to have been seen to bear marks matching the wounds of Christ. Suffering from the effects of the stigmata and other health problems for which he sought treatment to no avail, Francesco returned to Assisi. 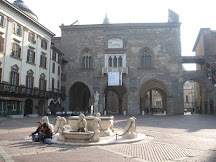 He died in a hut he had made for himself near the Porziuncola during the evening of October 3, 1226. He was canonised by Pope Gregory IX in 1228 and, along with Saint Catherine of Siena, was designated a patron saint of Italy. 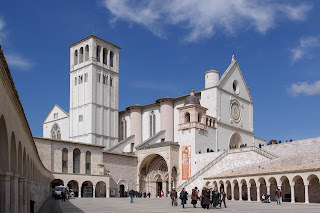 The Papal Basilica of Saint Francis of Assisi - Basilica di San Francesco d'Assisi - the mother church of the Franciscan Order, is in Piazza Inferiore di San Francesco in Assisi. 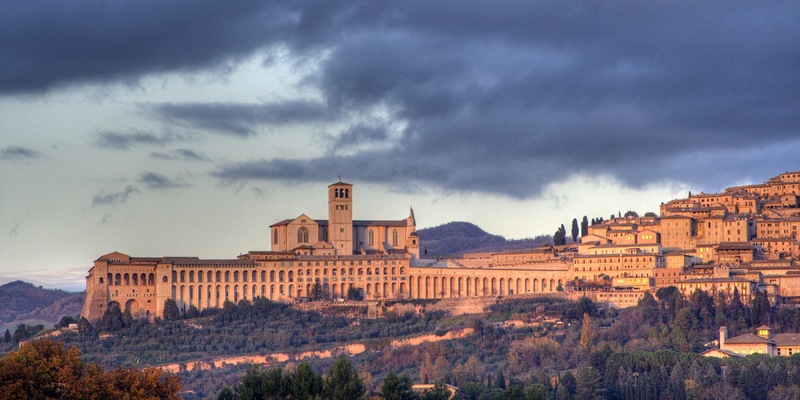 Built into the side of a hill, it consists of two churches, a lower Basilica and an upper Basilica, and a crypt that contains the remains of St Francis. The Basilica is one of the most important places of Christian pilgrimage in Italy and has been designated a Unesco World Heritage site since 2000. 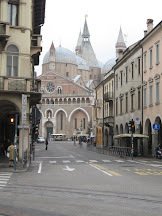 The Basilica of St Clare - Basilica di Santa Chiara - is in Piazza Santa Chiara in Assisi. It was built in the 13th century in Gothic style to contain the remains of St Clare. These were transferred to a shrine in the basilica in the 19th century. The church is open daily from 06.30 to 12.00 and from 14.00 to 19.00. Outside the church there is a terrace with lovely views of the surrounding Umbrian countryside.